Antique Chair Approx: 125-130 years old. This bright chair will be a focal point in any setting. Done in Lagoon Blue base color which blends with the very bright, durable, geometric fabric. 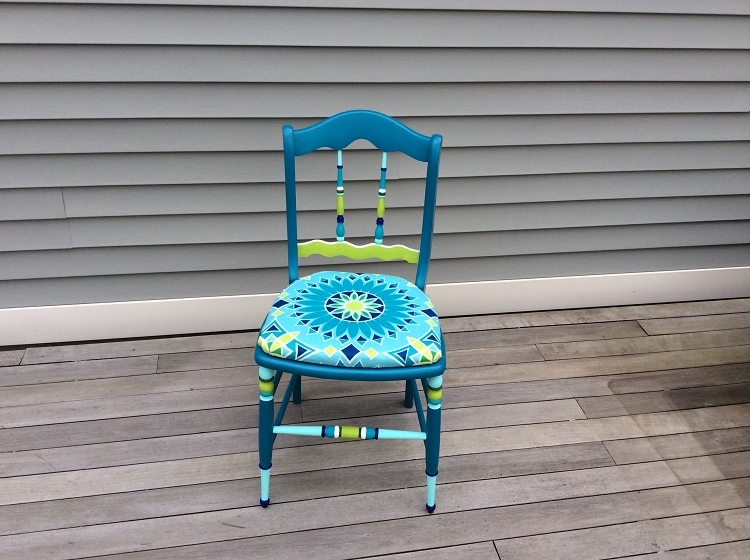 Hand painted details enhance chair's beauty with wonderful fabric. Price:$ 200.00 plus S&H. Local pickup by arrangement.